People often claim to be ‘tone deaf’ when what they really mean is that they have problems with pitch perception. True tone deafness is referred to as ‘Congenital Amusia‘ and is classified as a learning disability affecting ~ 4% of the population. Those who are truly tone deaf cannot enjoy music in the same way most people can, because their inability to differentiate between pitches, means that music sounds quite tedious to them. For the rest of the population who feels they don’t have good pitch perception, these problems can often be corrected with time, patience, and lessons in musicianship. Don’t allow problems with pitch to deter you from singing! Equally as common as the myth surrounding ‘tone deafness’ is the idea that you either are a good singer, or you aren’t. While there are certainly some people who seem to have an innately beautiful sound with very little effort, there are just as many wonderful singers today who worked hard for the beautiful sound they produce. This idea that someone is either good, or not good, is particularly harmful because it doesn’t give people a chance to learn. Singing is an innately personal instrument to learn, because our bodies are our instruments, we even change our language to reflect this. We often say ‘you are a good singer’, but we tell other instrumentalists, ‘you play the piano well.’ Singing, as with every other instrument, is something to be learned, and learning is a process that involves time, passion, and commitment. While there are certainly some difficult personalities in the world of popular music, the myth that all singers are divas is nonsense. This myth has several reasons for being so persistent. First, because a singer’s instrument is their body, they spend an inordinate amount of time thinking, and caring for their body. This can involve sleeping more than average, drinking and eating (or not drinking and eating) specific food and beverages, etc… Singers are also usually unable to weather sickness in the way that other instrumentalists are, since illness directly affects our instrument. Another reasons singers may be unfairly considered divas is because our instrument involves a great deal of positive psychology to function at its best. Singers need to think about their instrument differently than other musicians, and this can be interpreted as ‘diva’ behaviour because it is different. 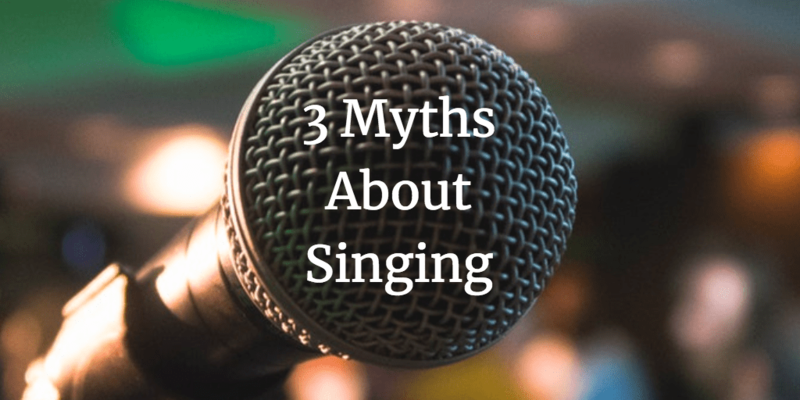 What are some other common myths about singing? Tell us in the comments below!